Hoboken general dentist Dr. Frank DePaola understands the important role your oral health plays in your overall general health. Many studies have documented the connection between the two. By maintaining healthy teeth and gums, you can substantially reduce your risk of many serious health issues impacting the rest of your body. For this reason, we recommend that you visit The Practice at Maxwell Place twice a year for your regularly scheduled dental checkups. This will ensure that your teeth and gums stay healthy for years to come. It will also reduce your likelihood of needing more serious and expensive dental procedures down the road. 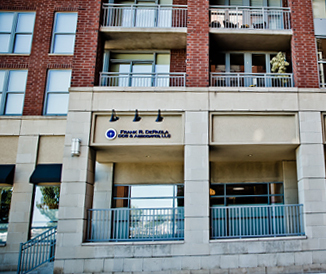 Please call 201-792-9400 today to schedule an appointment at our Hoboken dental office. Dr. Frank believes that early detection is the key to preventing dental problems from developing into serious oral health issues. When you visit our Hoboken dental office for your regular checkups, Dr. Frank will examine your entire mouth and bite alignment along with your teeth and gums. You will also receive an oral cancer screening, and Dr. Frank regularly conducts salivary molecular tests to evaluate the levels of pathogens in your system which may indicate the early stages of gum disease or cardiovascular disease. These screenings can help us make sure we detect any issues as they first develop. The Practice at Maxwell Place also offers extensive family and pediatric dentistry services to address the needs of your entire family. We have a pediatric specialist, Dr. Jennifer Paik, on staff. Dr. Paik treats children as early as age 1, and our Hoboken dental office is well equipped to treat patients of all ages. These family dentistry services are just one of the many ways we strive to build long lasting relationships with our patients. Please contact The Practice at Maxwell Place using the form at the right side of the page or call 201-792-9400 today to schedule your initial dental checkup. 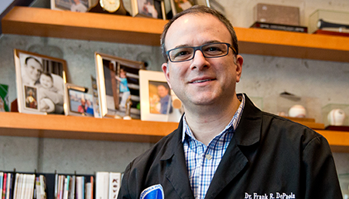 Dr. Frank DePaola serves patients from Jersey City, Hoboken and Hudson County, New Jersey.